Don’t let the gun-toting Racoon fool you; because James Gunn has been taking Guardians of the Galaxy very seriously. At last night’s Iron Man 3 premiere in London, the director – best known for helming Super and Slither – spoke to Hey U Guys and poured cold water over some of the rumours circulating Marvel’s galactic adventure. Gunn also stated that Rocket Racoon will serve as the heart for his interstellar adventure and, as you can see from his response, it’s a role that he’s been working hard on – hell, the filmmaker has even done photography with real racoons to ensure the Guardians of the Galaxy retains an element of fidelity. Though the firearm wielding alien is short of a voice actor at the moment, there have been casting confirmation for the other roles in the film. The director remained coy on confirming Zoe Saldana’s role in the move – he merely said the actress has entered talks – however, Gunn verified Chris Pratt and Michael Rooker’s involvement in the production – who will play Peter Quill/Star Lord and Yondu Udonta, respectively. The pair will be part of the titular crew, which includes Rocket Racoon, Star Lord, Yondu Udonta, Gamoru, Drax The Destroyer and tree-man Groot. On the surface, it seems like a difficult concept to bring to audiences, and not too long ago it was rumoured that Marvel would continue their tendency for cameos by including Robert Downing Jr. in the film in order to broaden the potential audience appeal. However, Gunn has said that Guardians of the Galaxy will have no place for the iron-clad Avenger. While fans may be disappointed about the lack of Tony Stark, the way Gunn describes his film is very interesting. It would seem that Marvel hopes to create an interwoven narrative that ties together Guardians of the Galaxy with the existing films in their superhero canon which, if done right, is a great way to construct a tangible, multi-thread universe. He also hinted that we’ll find out who will voice Rocket Racoon in the coming weeks, so more on that when we have it. 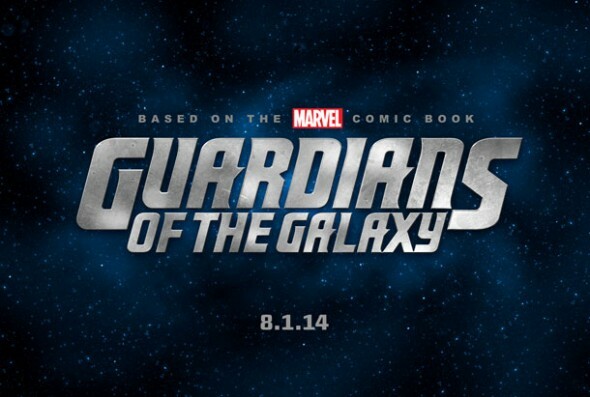 Guardians of the Galaxy is slated for release August 1st, 2014, with production set to begin this June. But what do you make of Marvel’s forthcoming project? Will the studio’s bold cinematic risk pay off? Drop your thoughts in the comments!